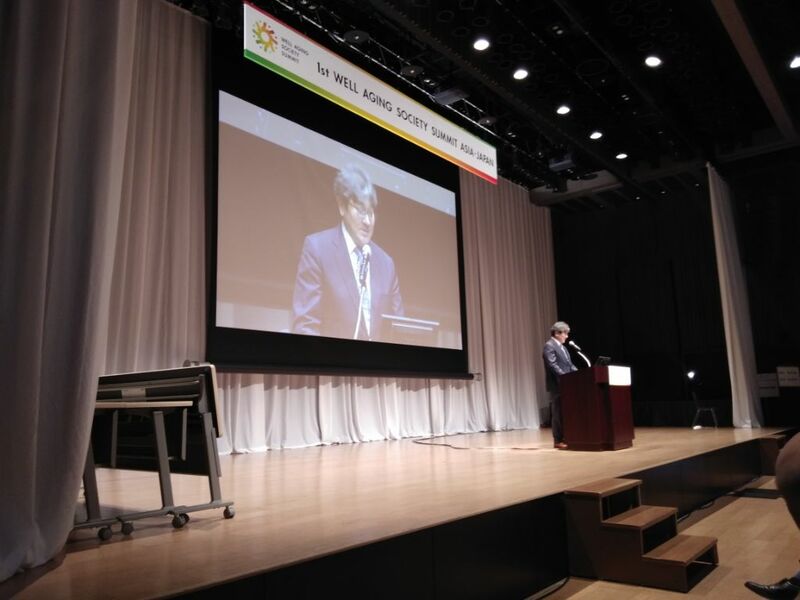 VSee recently launched in Japan, getting 1st prize in digital health innovation at the 1st Well-Aging Society Summit in Tokyo sponsored by Japan’s Ministry of Economy, Trade, and Industry (METI). VSee was also recently featured in Forbes Japan as one of the most promising digital healthcare startups transforming how the next generation delivers healthcare. At the Well-Aging Summit, VSee was one of 9 startups from 6 countries invited to present their digital health solution to address the stress that Japan’s super aging population is placing on the healthcare system. A panel of 10 judges included president & CEO of Philips Japan Hiroyuki Tsutsumi, CIO of Harvard Medical School, Professor John D. Halamka, MD, and Health 2.0 Director-Japan Yumiko Nishimura. Japan’s METI has held several “Japan Healthcare Business Contests” and other events to discover and support startups and entities that can help solve the challenges that Japanese healthcare industries have been facing. The Well-Aging Society Summit, is METI’s first international event to globally address the issues of a super aging society. As a society known for the longevity of its people, Japan has entered a super-aged society ahead of other countries. Because of this, it has also had to earlier face a variety of social challenges from increases in social security expenses and patients suffering from lifestyle-related diseases or dementia to disparities in elderly access to medical care and a shortage of skilled nursing facilities as well as the human resources to run such facilities. The Well Aging Society Summit Asia-Japan addresses these issues by showcasing venture businesses and Japan-based healthcare companies with robust development programs and R&D. This fosters global awareness and global partnerships as well as encourages other countries to invest in healthcare business in Japan. It believes that it is through global efforts that innovative solutions can more quickly be developed to benefit all countries around the world. VSee’s telehealth products and services are design-focused to simplify inefficient clinical workflows and to solve healthcare delivery problems. Through telehealth, healthcare practitioners and businesses are cutting costs, increasing patient engagement, and decreasing clinician burnout. The flagship VSee Clinic is an online virtual care platform that provides integrated video visit, virtual care workflows, medical device and digital health tool plug-ins. It can be self-tailored for any use case from on-demand urgent care to eNICU monitoring to group wellness classes to post-surgical consults, telepsychiatry, and more!